They say a bad workman blames his tools, but yet when a good workman, say 17-time Grand Slam winner Roger Federer wins, not one person mentions the racquet which has guided him to victory. 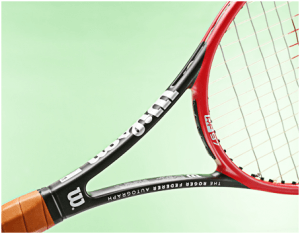 Since turning pro in 1998, the Swiss legend has remained firmly loyal to Wilson, the manufacturer of his racquet, and has certainly inspired many more to use the US brand. But how much have they evolved over the years Federer has been a pro? 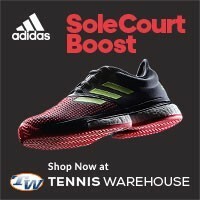 The brand are now one of the biggest brands in tennis, with not only Federer, but also the Williams sisters and Kei Nishikori use the brand, and have become some of the best equipment in the sport. And with the 2015 season underway, we look at Federer’s racquets throughout the years as he looks to add to his Grand Slam collection, and finish the year back in the number one spot. Roger Federer is 10/3 to win a Grand Slam this year with Accumulator Tips, however back in 1998 when he was using the Pro Staff 85, the odds would have been stacked against the young man from Basel. His first racquet was used between his debut as a pro until 2001, when he beat Pete Sampras knocking the legend out in the Quarter Final of Wimbledon. Ironically, Sampras was using the same piece of kit at the time. 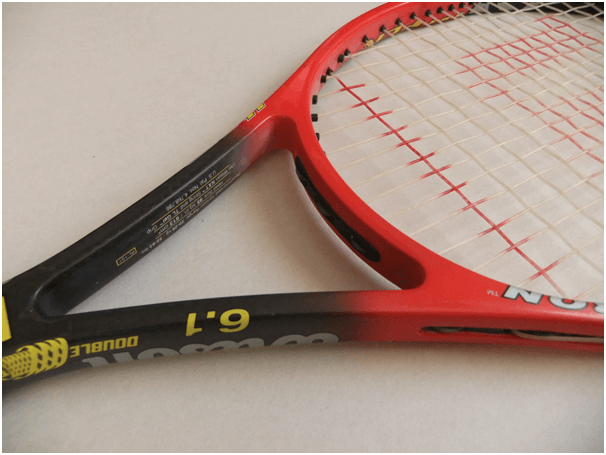 Federer only used this racket in the early stages of 2002 and was the move to a bigger head than 85 inch square. 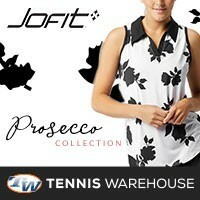 He only used it at one Grand Slam, the Australian Open, which he got to the fourth round. Later in the year he changed to the 90 square inch 6.0, the head size he’s stayed with ever since. It was the beginning of something special for Federer in 2003, winning his first Grand Slam title at Wimbledon, and he did it with the Pro Staff Tour. 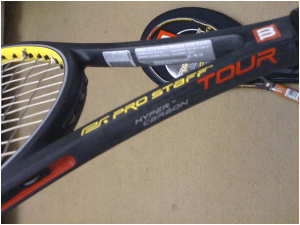 With a hyper carbon frame, it was incredibly light and, using it for the next three Grand Slams before switching to the nCode models. 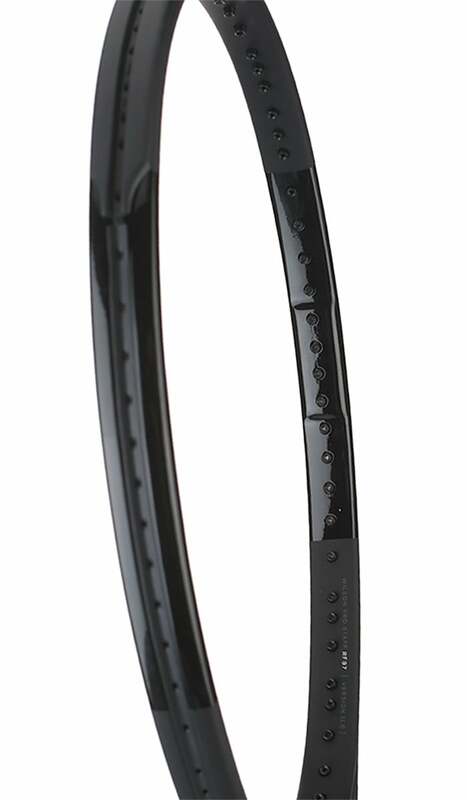 After plenty of success with the nCode range, Federer returned to the Pro Staff in 2012 and is certainly one of the best looking racquets out there. He won the 2012 Wimbledon title with the model and is remarkably like the K Factor which won Roger the French Open and the prestigious north London competition. The Six.One stuck with the 90 square inch head and has been instrumental in the five-time US Open winner refinding his best form. 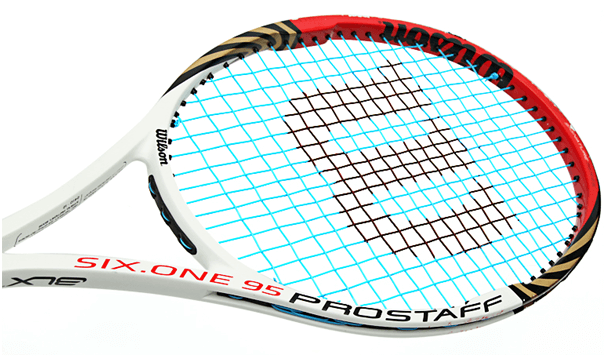 Today, as he aims to win his Grand Slam wins to 18, the 33-year-old is using the Wilson Prostaff RF97 Autograph. 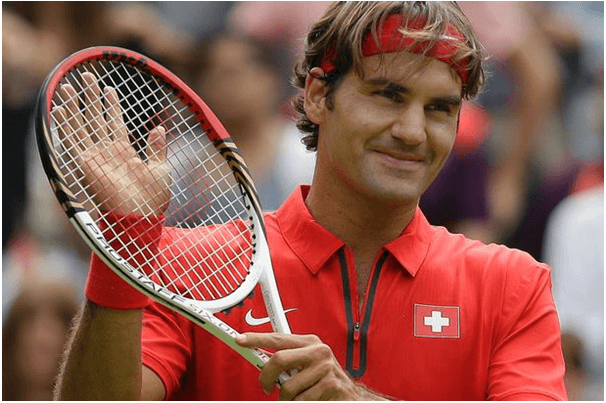 With his name emblazoned down the side, it had a tough start to life, but 2014 saw a much improved Federer compared to 2013 reaching the Wimbledon final and the Semi Final of both the Australian and US Open. 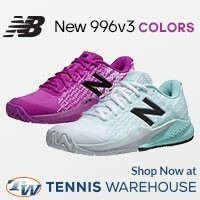 Can the RF97 give him a major win this year? We’ll have to wait until early September to find out. In late 2016, Roger Federer and Wilson announced together that they would be launching a new version of the ProStaff RF 97. This time the racquet would feature all black paint and some really neat designs of Roger himself on the throat of the racquet. Sadly, the Wilson ProStaff RF 97A Black never saw a match in 2016. As you know, Roger pulled out of the rest of the ATP season with a knee injury that required surgery and ultimately rehabilitation. 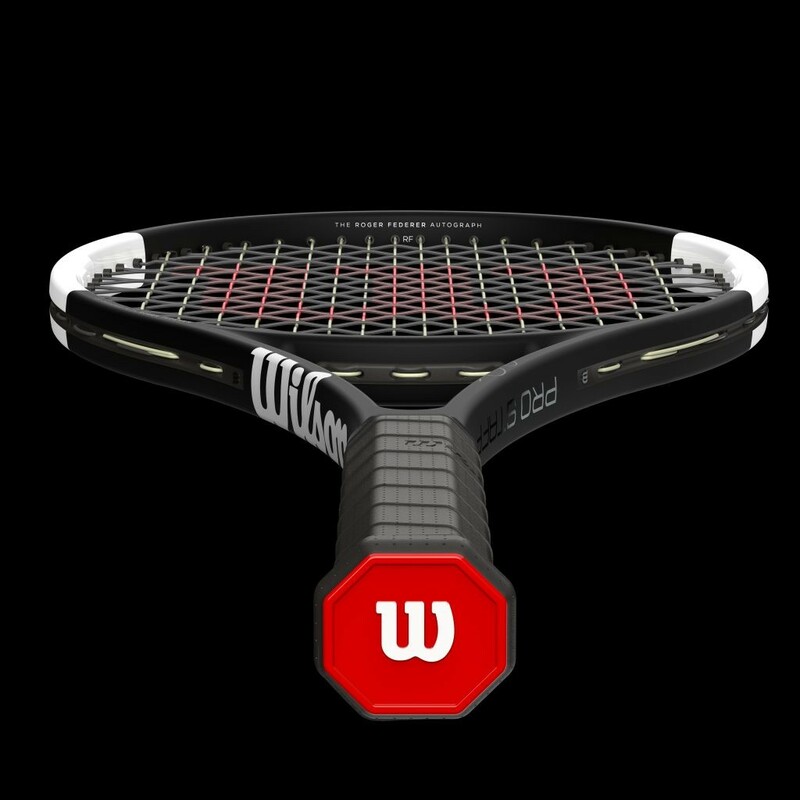 But now in the 2017 ATP tennis season, Roger Federer is ready to play with the blacked out version of the Wilson ProStaff RF 97 Autograph. 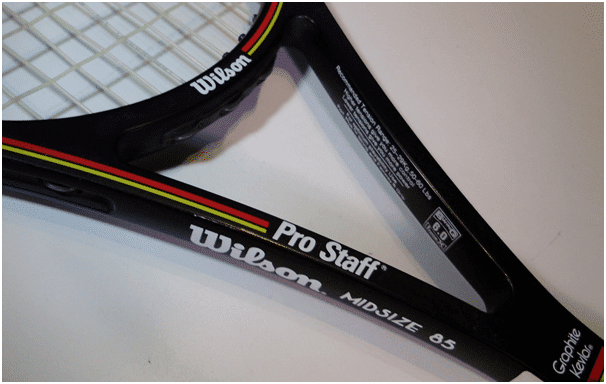 You can even buy the Wilson ProStaff RF 97A Black for yourself! It’s not cheap, but obviously it’s totally worth it. highlights. The new Wilson Pro Staff RF 97 Autograph can now be called the “Tuxedo” as Roger Federer himself calls it. The new design is receiving some criticism that the white paint addition is a little bit of a lame as the racquet its self hasn’t been updated. Just the paint and no new technological advances. 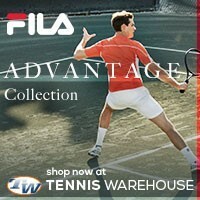 You can pick up a new Wilson Pro Staff RF 97 Autograph racket at Tennis Warehouse!